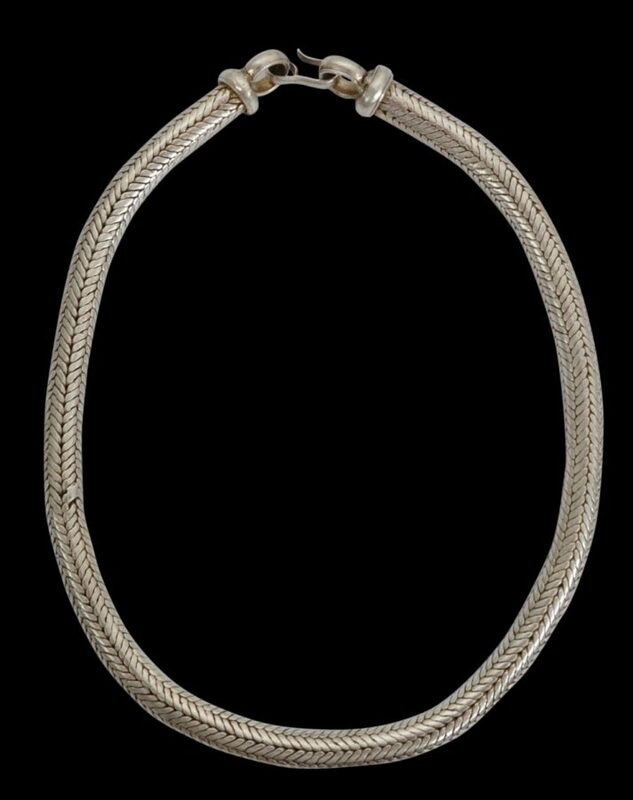 This necklace is of a type of work known as kamardani. 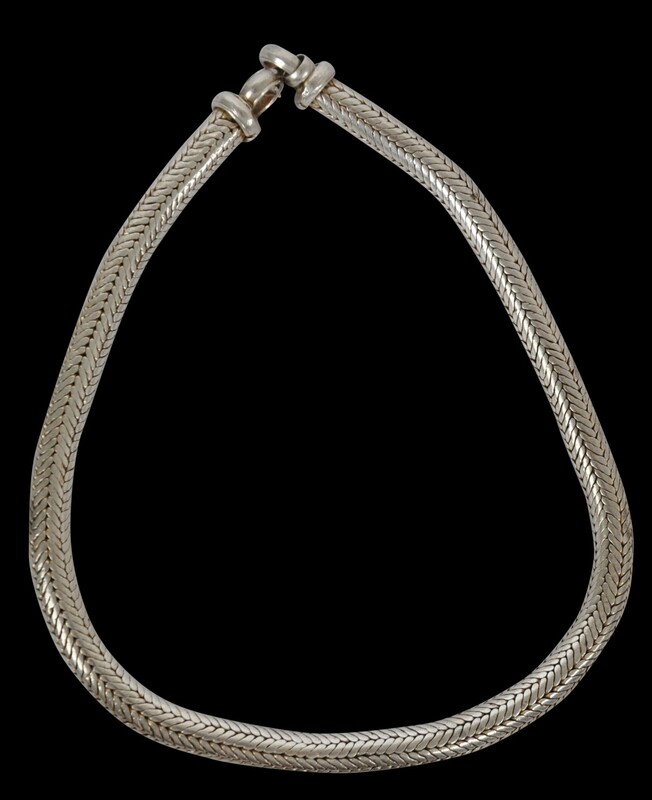 The style of chain is loop in loop with a hooked closure. 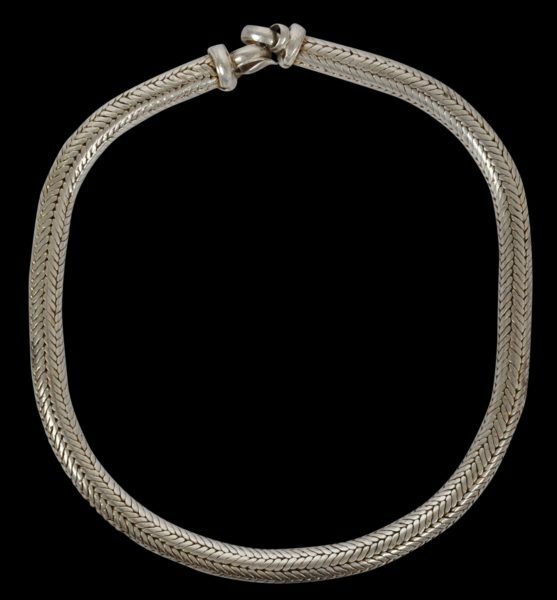 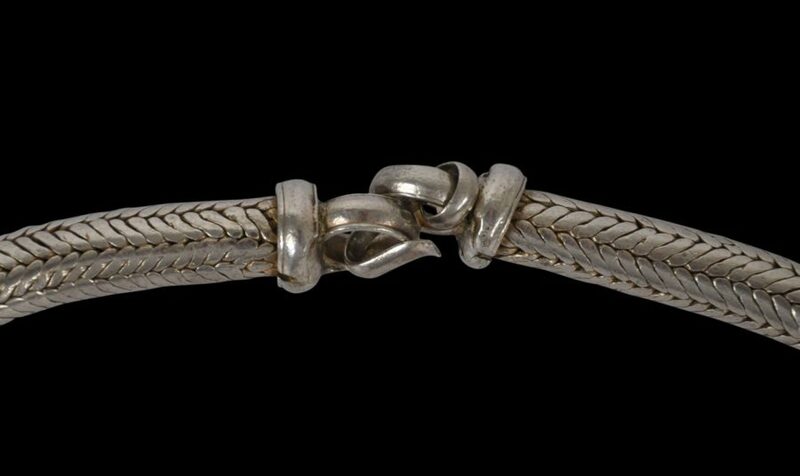 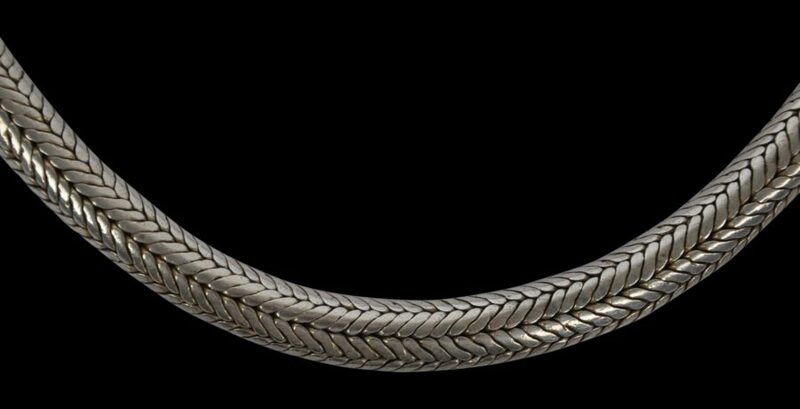 The finished chain is drawn through a drawplate to make it smooth, and then with age and wear, the surface becomes even smoother and supple, a process that is aided bu the softness and purity of the silver. Overall, this is a fine, wearable necklace in excellent condition.